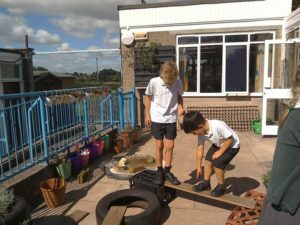 We are very proud at St Gregory’s of our outdoor learning environment. 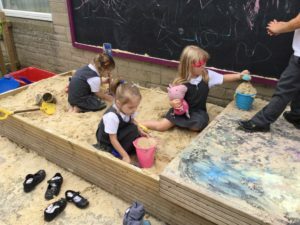 Over the last couple of years we have developed it into an area for children to use regularly in classes and also with their friends at playtimes. 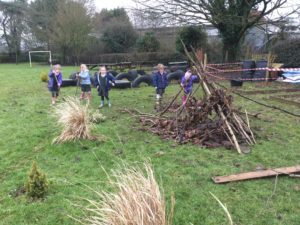 During the year every class has had the opportunity to work with a trained Forest Schools teacher, where they have made dens, campfires, bug homes, explored textures / natural materials and worked together as a team. 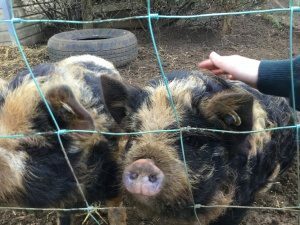 We have also our new Kune Kune pig additions – who the children voted to name Bluebell and Rosie. 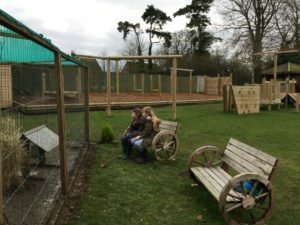 These are exceptionally friendly and the children share in their care. 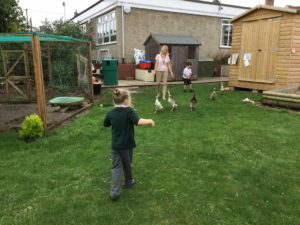 Our ducks are all school bred, the year 6 children are responsible for their care and also have a small enterprise of selling duck eggs to parents. 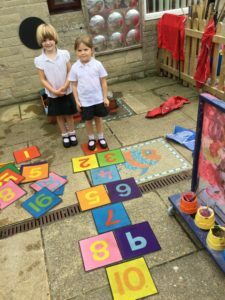 The proceeds from this the children decide on something to be purchased for the school. 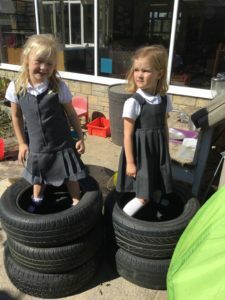 There are many benefits of outdoor learning; the chance to connect to the natural world, first hand experiences of life and growth, endless opportunities for creativity and imagination and improved fitness and physical development. 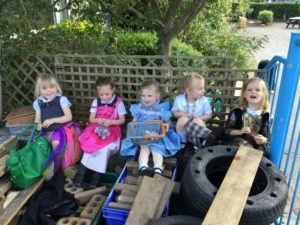 Along with our environmental outdoor learning area our EYFS / Year 1 classes both have access to outdoor areas where the children enjoy learning through play.